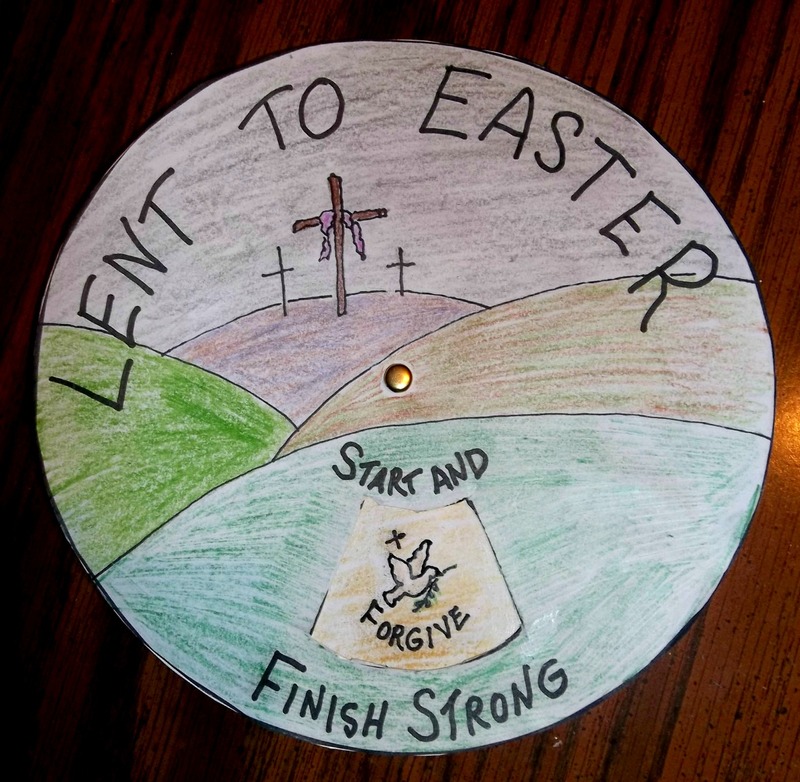 This Lenten project is meant to encourage the children to stay motivated throughout the Lenten season. While doing this Lenten craft, use the opportunity to share, with the children, the need for prayer and giving. Have them suggest specific actions for each of the words. Find this project, “Lent to Easter: Start and Finish Strong,” in the 3rd Grade Projects Gallery in the sidebar to the right. This entry was posted in Categories and tagged 3rd Grade, Easter, easter art, kids crafts, lent to easter, lent to easter crafts, lent to easter start and finish strong, lenten art, lenten crafts, lenten project, lenten project for kids. Bookmark the permalink.